"I was looking for a faithful software to redeem my crashed VLC media player videos. The videos were large -sized which is the main issue. But this Video Repair software didn’t let me down. Effective software brings all the videos at the original place so quickly." "A simple but powerful tool. No twice thinking to recommend this to all looking for a tool to repair their corrupt videos." 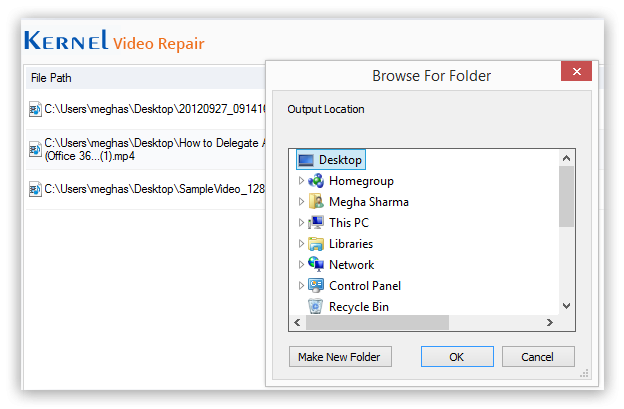 Video Repair software solution facilitates its users to save the repaired video file to the desired system drive location. You can directly browse and add the saving location to save the repaired video file. What are the steps to repair my corrupted video file with this tool? First download and run the software application. Click on the + sign or go to File>Open to add your corrupt video file for repair. Click on Repair option to start the repair process. The repair process is completed. You can also use Preview option to view your video file before saving. Now provide the destination location in your system and save the repaired file. What are the videos’ file formats this software supports? The software supports almost all the video file formats to perform the repair process. It supports MP4, MOV, MPEG, MJPEG, MTS, M4V, MKV, AVI, AVCHD, WEBM, ASF, WMV, FLV, DIVX, 3G2, TS, 3GP, F4V file formats. 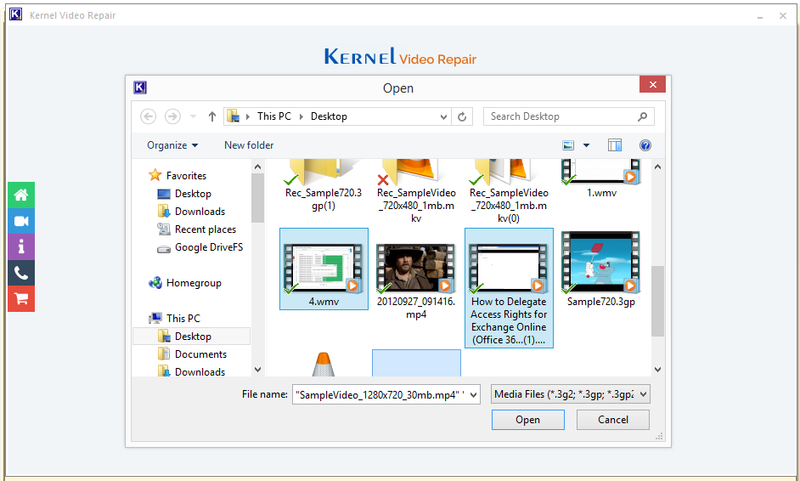 Can I repair multiple video files at the same time? No. The tool does not allow this. However, you can repair any number of video files one-by-one as it takes very less time for repair. Is there any modification in video after being repaired by this tool? There is no modification or change in video quality, print or format after the complete repair and saving process. Please tell me can I decide the saving location on my system or it saves to a specific location itself? You can decide any location on your system by providing the path location on the destination feature using the Browse option. What are the system requirements to work with this tool? 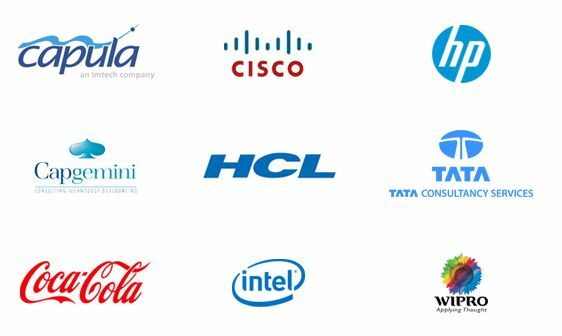 Apart from the system requirements like Windows OS, processor, etc., you require your corrupt video files only. Does this tool repair videos on Mac environment? 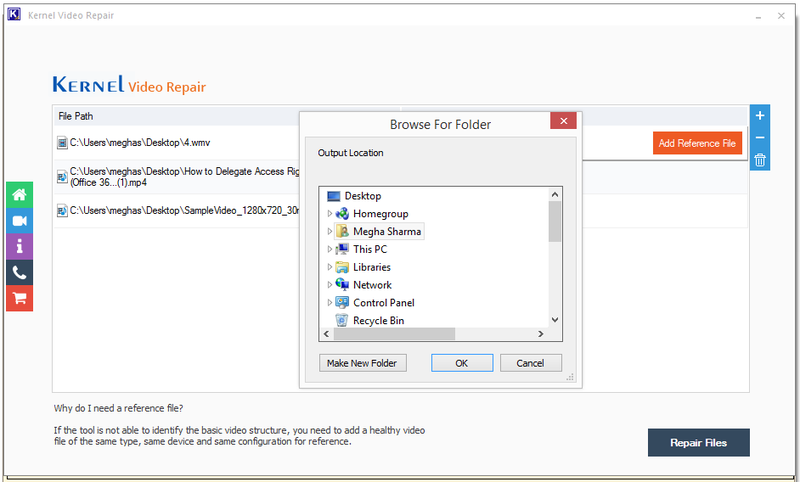 No, this tool supports repairing crashed videos only in Windows environment. It does not work on Mac environment. 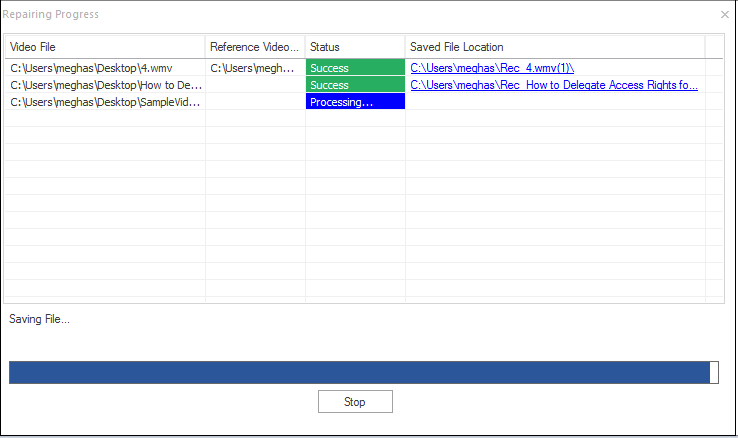 SelectIn the first step, browse and add the corrupt video file which you want to repair. 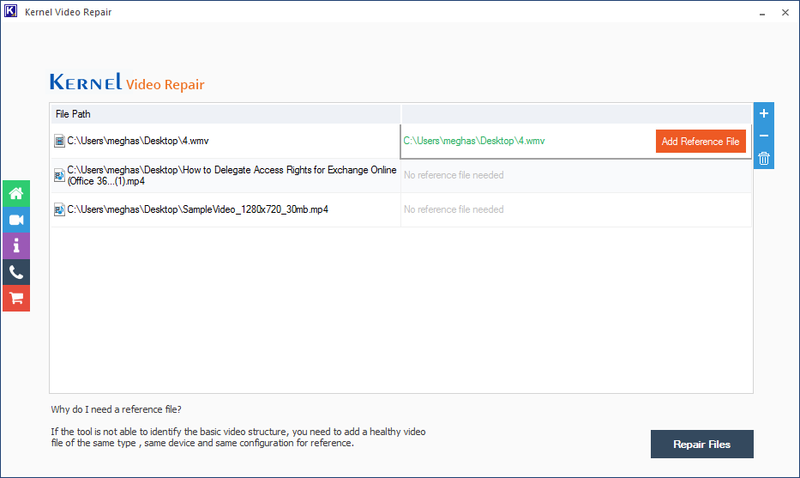 PreviewAfter the repair is successful, users can view the video file with Preview option. 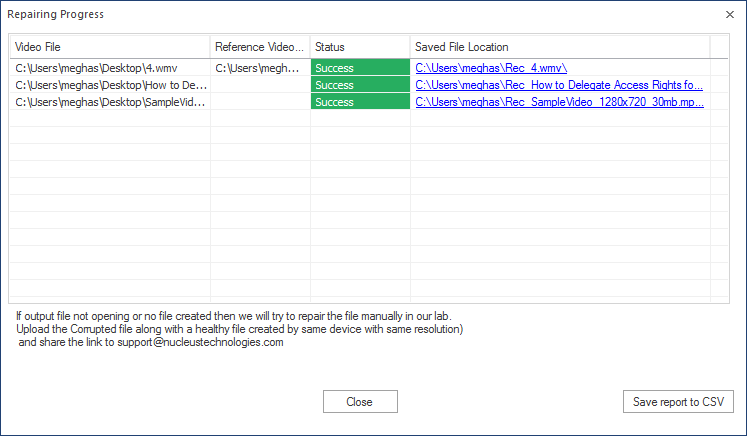 SaveIn this final step, provide the destination location of your system and save the repaired video file. Click the Add button to add the corrupt video files. Click Repair button after adding the video. Click Preview button to view the video. Browse the location of video and then click save button. Repair corrupt/damaged Excel files with complete data integrity. 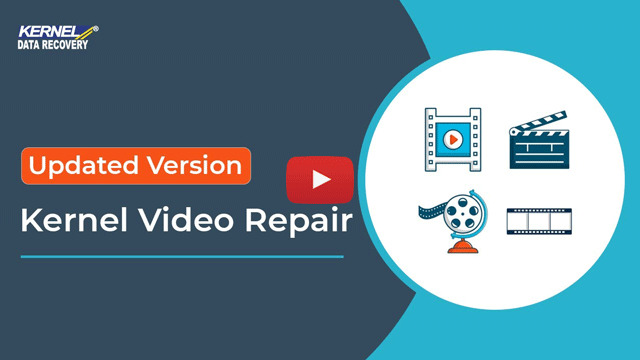 I have used this video repair tool to repair videos with different formats, and every time it has proved itself as a reliable tool for video repair. This tool comes very handy, if you just want to have the preview of the file and don’t want to save it. The trial version allows you to have the preview of the file for free. I had a corrupt 3GP file and couldn’t find any solution to repair it. Finding a tool to repair 3GP file wasn’t that easy but one of my friends, suggested me this software and it worked out really well. 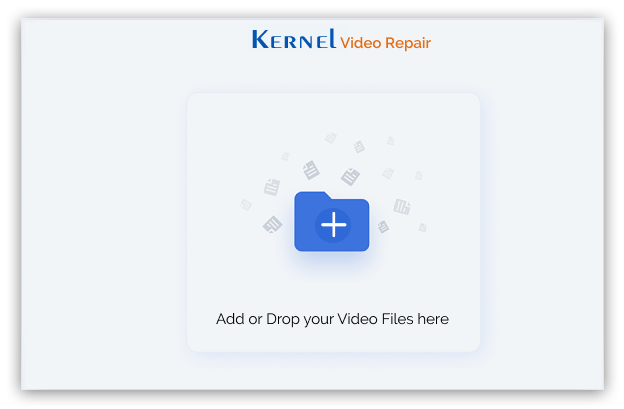 This tool supports all the possible video formats and allows you to have the preview of your repaired video before saving it on your system. 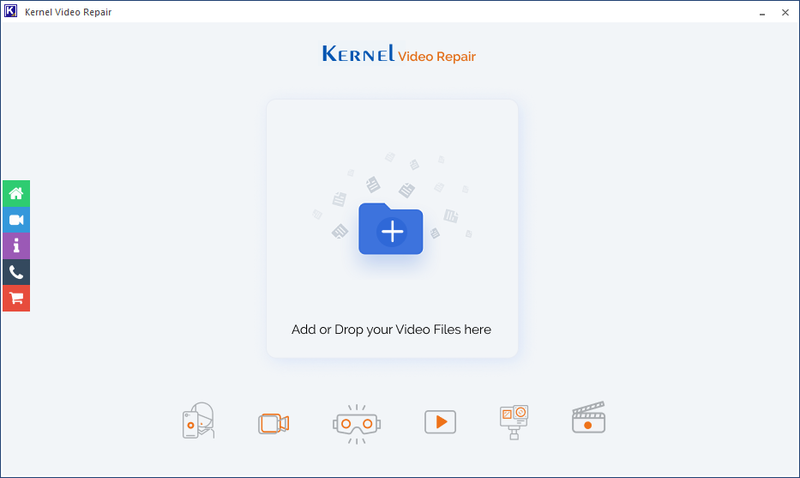 This tool is a perfect solution if you too are looking for a video repair tool. This tool comes with a very friendly user interface and repairs videos in just few simple steps. You can save unlimited videos on your system if you have the full version of the software.